Input Inventories and COS to SUN. Perform Stocks count at Swire and Stores on regular and surprised basis. Work closely with SCM and Stores for any deviations. 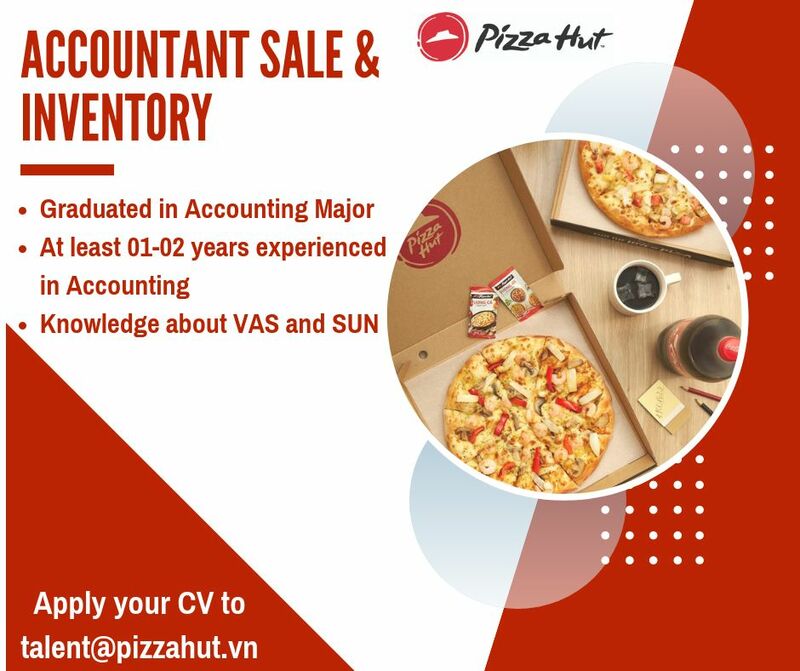 Assist Senior Accountant in Tax accounting. COS reporting on monthly basis. Provide support to sales and area staff on financial matters such as accounting for Sales & Receipts from Sales, Control Cash and Gift Voucher. At least 6 - month experienced in Accounting. Knowledge about VAS and SUN. Good at numbers and detail-oriented. Proactive, work well high pressured environment. Can do attitude and a team-player. Willing to learn new things and tasks.